The courier modem is made for the world. V.Everything technology connects with all key ITU fax and data protocols. V.Everywhere technology supports most country-specific phone services. Synchronous and 2-wire leased-line modes let you communicate with legacy systems such as mainframes and older networks. A universal power adapter handles global power variations from 100V to 240V. Your modem in Bangor, Maine works like your modem in Bangkok, Thailand. Real world conditions aren't perfect, so the Courier modem works to make the best of them. Advanced line probing technology find the fastest V.90 connection available and adjusts speeds as line conditions change-for fewer dropped lines and better throughput. Carrier loss redial automatically senses when a line is dropped and re-establishes the connection. When "bad power" (like a brownout) occurs, special circuitry keeps the Courier modem running when others fail. This 3Com 3453 USRobotics Courier External 56K Modem 2806-00 is in refurbished condition and is fully guaranteed by our 90-day warranty. 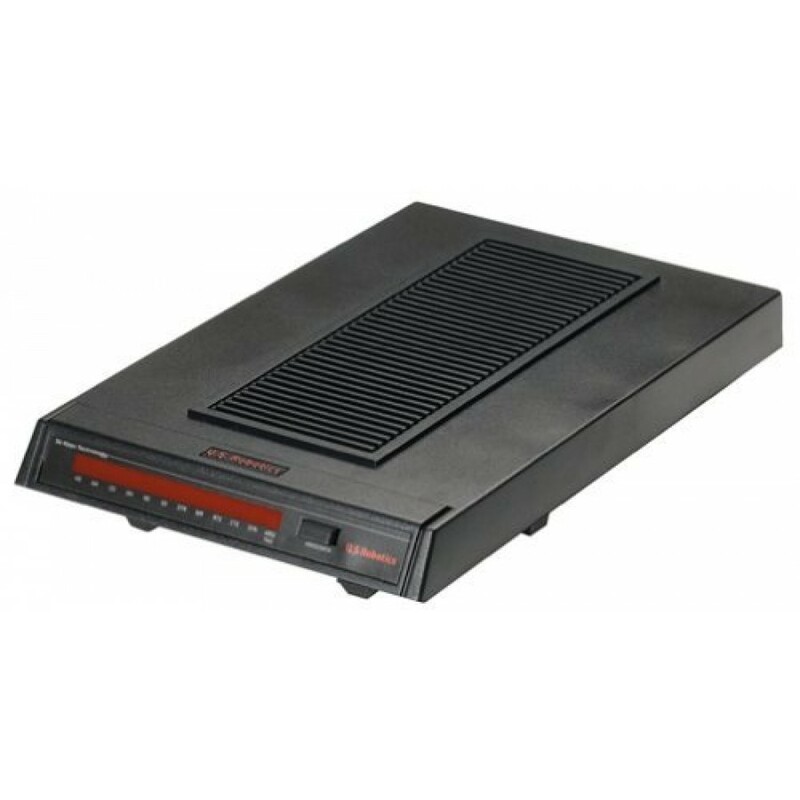 Please feel free to contact us regarding our inventory of refurbished 3Com networking equipment, or if you have any additional questions regarding this 3453 USRobotics Courier External 56K Modem 2806-00. Orders for this 3Com 3453 unit which qualify for Free Super-Saver Shipping are shipped at our discretion via the lowest cost method. We use FedEx, UPS, and US Postal Service as shipping carriers. We cannot ship this 3Com 3453 within the USA by billing directly to your shipper account number. All shipping charges must be pre-paid at checkout. 3Com 3453 USRobotics Courier External 56K Modem 2806-00 units which are shipped internationally have a mandatory 4-10 business day security holding period between payment being received and shipment processing. This security policy is to allow funds to fully clear our bank account. International transport costs can be charged directly to your FedEx or UPS account number. We cannot ship internationally using your TNT account number; however you can coordinate with TNT to have them pick up the shipment from our location. HardwareJet.com can usually provide expedited (1 or 2 day shipping) for 3Com products; however there is an additional rush fee per unique 3Com 3453 USRobotics Courier External 56K Modem 2806-00 unit in addition to the product cost and expedited carrier shipping charges. If we can offer expedited shipping for an item, expedited shipping costs will be shown at checkout. If we cannot provide expedited shipping for an item, then you will not be presented with these options during the cart checkout process.